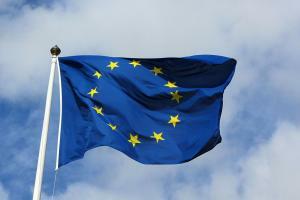 European car sales rose for a ninth consecutive month in May, new figures have revealed. According to data released on Tuesday (17 June) by the Association of European Carmakers (ACEA), sales volumes increased by 4.3 per cent last month. In particular the research showed that brands such as Skoda, Renault and Opel enjoyed stronger growth than higher-end manufacturers like BMW and Audi. With the EU market mirroring the impressive growth being witnessed in the UK automotive industry, some car dealers might be considering expanding their business operations overseas. If this is an avenue for growth you are weighing up then it is also important to consider the implications for your motor trade insurance policy; specifically you will need to ensure international imports and exports are still protected as part of your business model on a combined motor trade insurance quote. Some experts have warned that the growth within the European car market is not sustainable as heavy discounts and over production continue to distort the true level of demand. Nevertheless, last month there were 1.13 million vehicles bought across the continent, up from 1.09 million last year. ACEA's data also showed that sales at Skoda jumped by 23 per cent, Renault by 16 per cent and Opel by 6.2 per cent. Meanwhile, BMW and Audi witnessed far less substantial rises in sales, seeing an increase of just 1.4 per cent and 4.8 per cent respectively.